The most advanced cold weather gripping system ever created by Vibram. Innovative technology specifically engineered and designed to perform on wet ice. Unique polymer blend coupled with an advanced filler system and new processing technique. 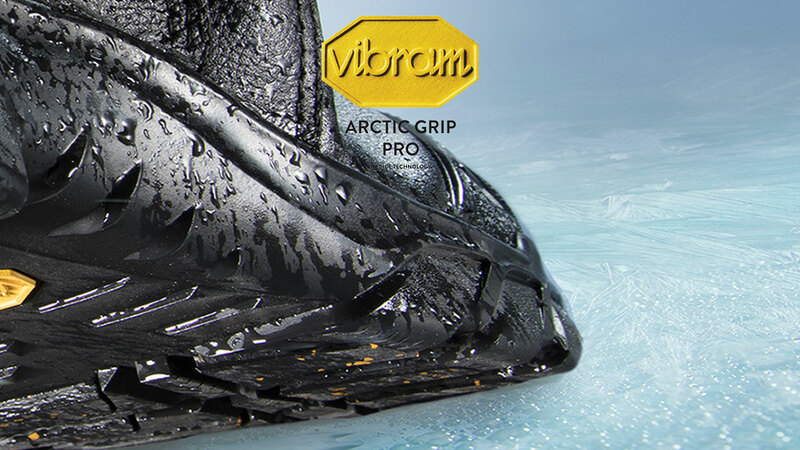 Paired with Vibram MEGAGRIP PRO which has been eginered for extreme temperature use, Vibram ARCTIC GRIP PRO offers Vibram performance, quality, and durability.